Yesterday's news that Ta-Nehisi Coates is leaving The Atlantic was surprising in some respects, given how he's been linked to that publication for nearly a decade now. 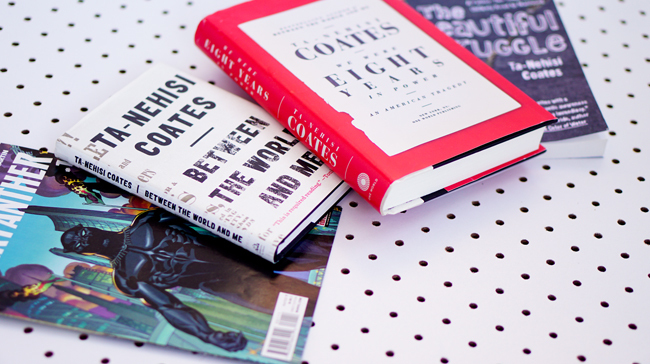 The Atlantic provided Coates with a powerful platform and introduced him to new audiences. In a different yet important way, Coates brought The Atlantic audiences and attention that the publication would not have otherwise had. Coates's decision to step away from The Atlantic in fact fits with a pattern where he resists being thrust up front as the main or only figure in a particular realm. What stands out to me is that Coates is somewhat rare among some black public intellectuals in that he wants less fame and celebrity as a cultural figure. Can you imagine scholar X or scholar Y stepping away from the limelight the way Coates has done in some cases? Can you imagine a writer with hundreds of thousands of followers on Twitter deciding to abandon social media -- at the height of her popularity on the platform? I assume that Coates is happy to be materially wealthy and to have his work taken seriously. But, we get regular indications from him that he's been displeased with how his celebrity has gotten in the way of him being a writer, or at least the kind of writer he wants to be. "When I used to write, it was like I felt like I had more freedom to write as I felt," he informed Erik Wemple from the Washington Post. "I didn’t think I was representing anything more than my own feelings and thoughts." He's learned that's not the case. One example he gave was attending a protest rally with plans to cover the event. However, when some journalists discovered Coates was in attendance, they began to cover him more than the protesters and rally. Beyond those issues, Coates is pushing back, as he's done in the past, from becoming seen too much as "the" spokesperson. He's tried to resist that designation with respect to being viewed as the spokesperson for all things black, and now, he's doing it with The Atlantic -- not wanting to be seen as the face of the magazine.